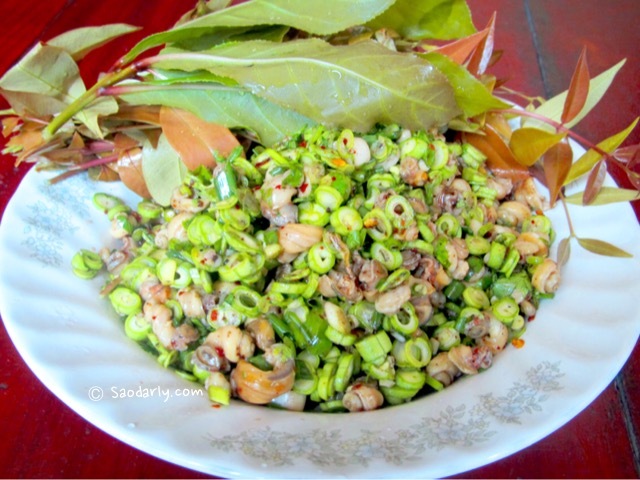 Freshwater Shellfish Salad (Larb Hoy; ລາບຫອຍ) for dinner in Vientiane, Laos. It’s a good alternative to Larb Beef, Larb Kai, or Larb Fish. 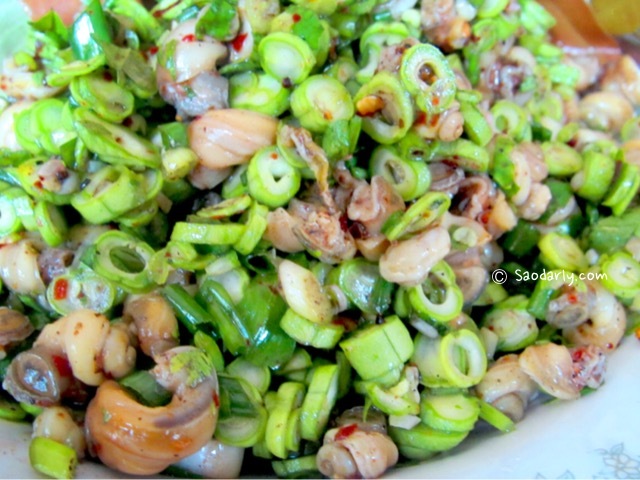 The shellfish salad is made the same way as making Larb Sien (Minced Beef Salad) with all the same herbs and seasoning. The only difference is adding cooked freshwater shellfish as the main ingredient. Thank you ! looking good for dinner. i may try some day. You are much welcome. If you can’t find freshwater shellfish then use clams or cockles instead.